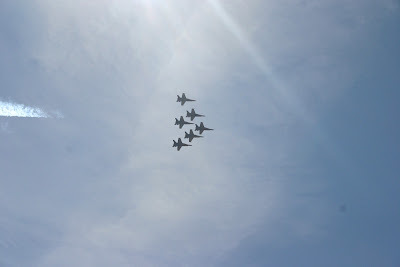 All six F/18s of the Blue Angels. 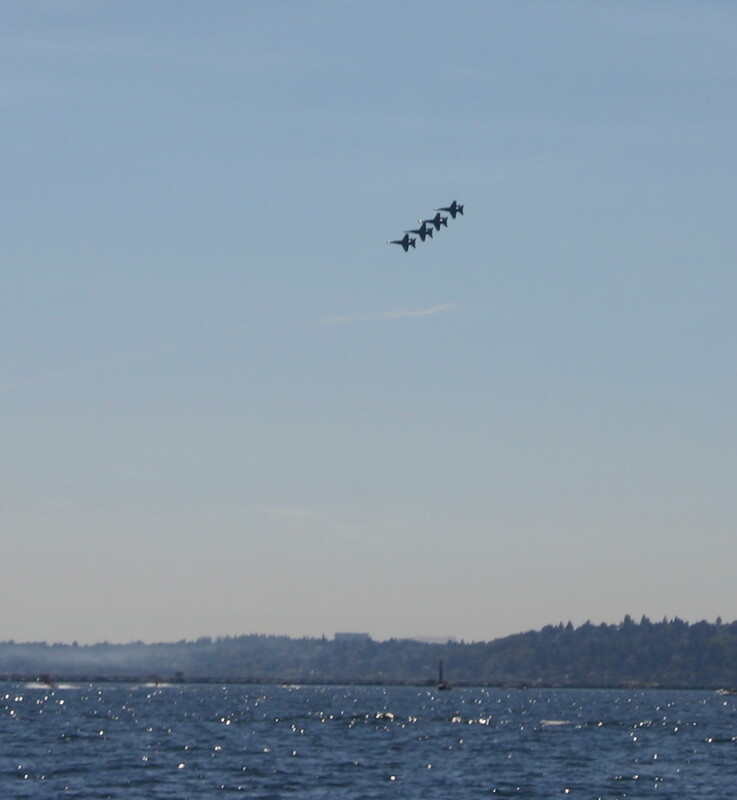 Every year since 1972, with a couple of exceptions, the Blue Angels have performed at Seafair. 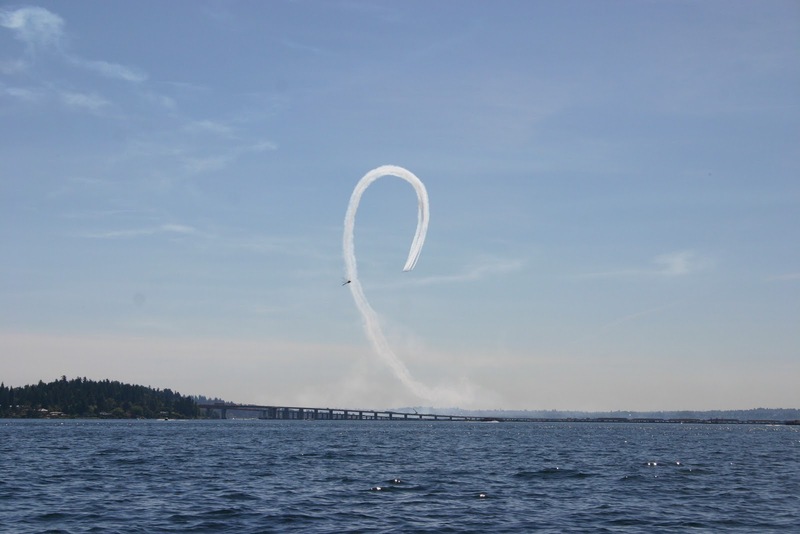 Seafair is a Seattle event, that includes parades, hydroplane races, marathons, and other activities. 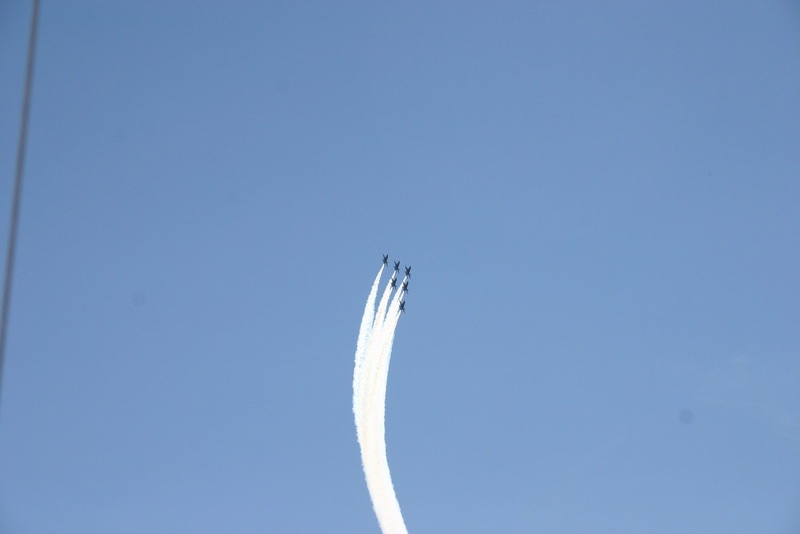 The most popular part of it, though, is the air show. 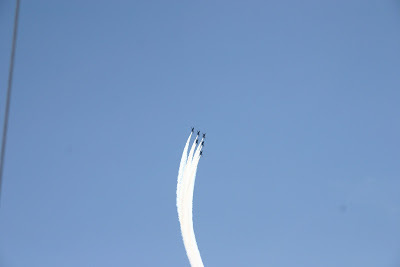 The air show includes lots of different performances, but what everyone comes to see are the Blue Angels. 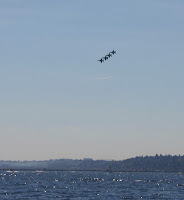 The Blue Angels are the U.S. Navy's flight demonstration squadron. They are a highly visible way of demonstrating Navy aircraft, their pilots and capabilities. The Navy considers them one of their primary recruiting tools. Considering how many people they reach and entertain, their $37 million annual budget does not seem excessive. Since 1986, the Blue Angels have flown F-18/A/B/C/D Hornet aircraft. These are highly maneuverable, twin tailed fighter jets. The most modern jets in that class are F-18E/F Super Hornets. These are larger, but most of the reason for the upgrades are better avionics, weapon carrying capacity and fuel capacity, which would not help in an air show. The main difference between the air show aircraft and the military aircraft is a different flight stick, and the nose cannon has been replaced by the smoke generator. The Navy claims they can turn the Blue Angels F-18s into combat ready aircraft within 72 hours. and about to be attacked by a giant dragonfly. 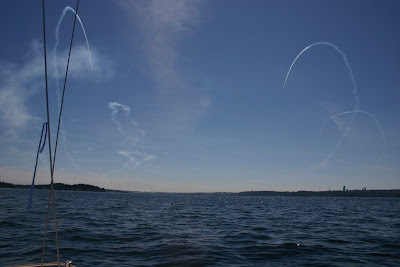 For Seafair, they come out and practice, then hold shows on Saturday and Sunday. 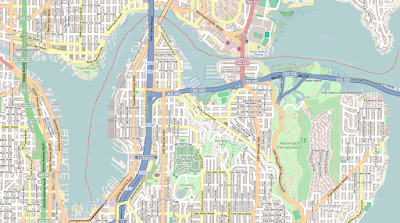 They have to close the I-90 bridge for a couple of hours during the show. Also boat traffic is restricted from I-90 south. All of them looping at once. There are six aircraft in the show. Four aircraft fly together most of the time, while the two most experienced pilots fly more difficult maneuvers separately most of the time. We went out for a sail to see them. 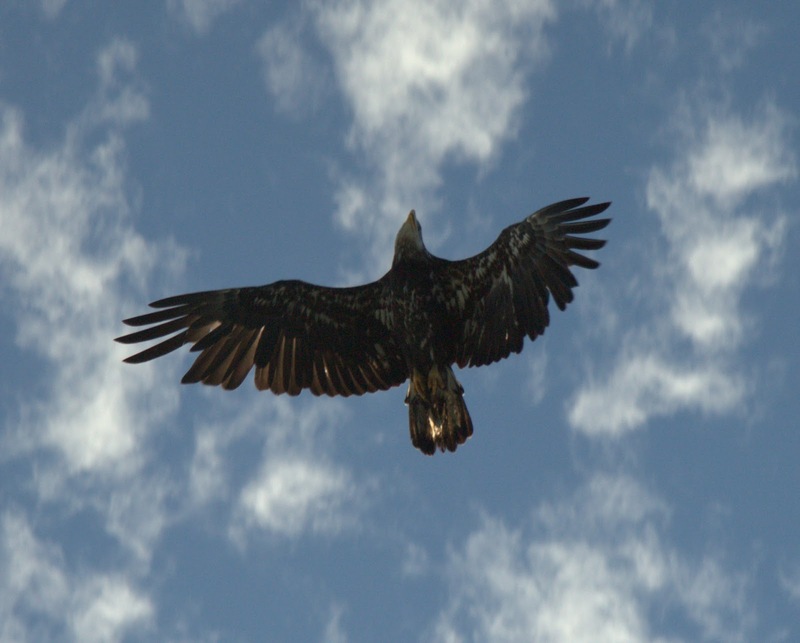 We never got south of the 520 bridge, so most of the time they were quite a ways away. However, for a few maneuvers, they come pretty far north. Right after the show, there were about 100 powerboats all headed right for us. 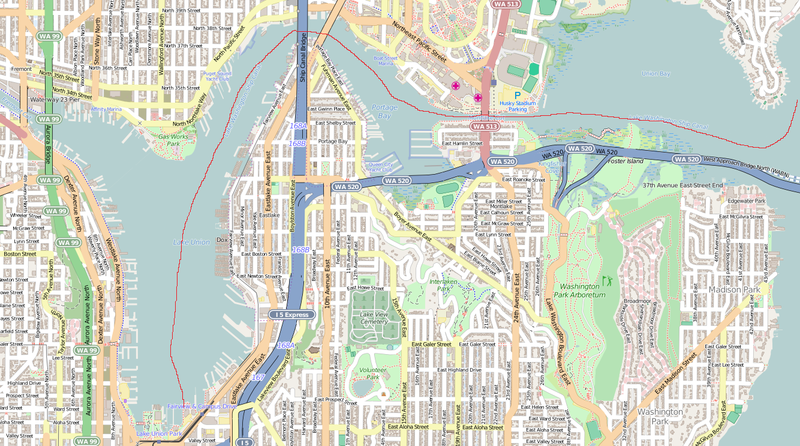 They had all been south of the 520 bridge and came through the eastern high-rise passage. 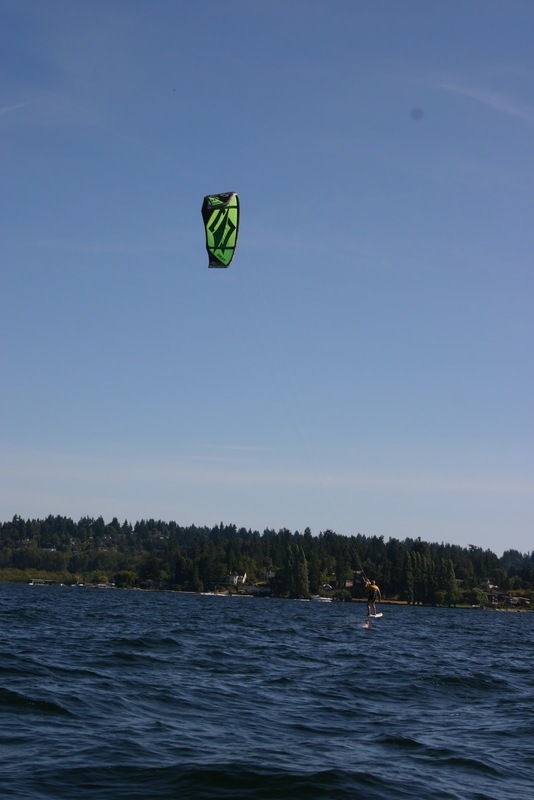 We stopped at Carilon Point in Kirkland for a break, then proceeded to tack back up the lake, watching the kite boarders. A very nice day of sailing. Whipping indicating where to tie up. We did a lot more maintenance on the boat today. We bought another snubber yesterday for our fifth dock line. This allows us to keep the boat nicely away from the dock in all directions. Our host moved a cleat for us on the dock, and the new position really helps. We also are whipping the dock lines to mark them at places so that we can very quickly get them adjusted just right when we pull in. This will make docking faster. Pulpit eyes for spinnaker sheet blocks. We put on new pulpit eyes on the stanchions for the spinnaker sheet blocks. Catalina Direct says that Catalina 22s have always used 1" thick tubing for the stern pulpit, but ours is made of 7/8" tubing. The pulpit eyes that we got were too large. They worked for our first time out, but we needed hardware that fits for a more permanent mounting. We found some hardware that will work at Fisheries Supply that fits the 7/8" tubing when used with a couple of D-shackles. Blocks for the mainsail outhaul. And finally, we added our new tiller stay tiller controller. This was from a kit from Catalina Direct. They have several videos of projects to perform on a Catalina 22. The demo for installing this is on the Video Projects DVD volume 2. This allows the captain to leave the tiller for short periods without losing heading, as well as not having to fight the tiller so much. It also means that we do not have to tie up the tiller when we dock. It took us maybe two hours to install the whole thing. We did not do the complicated epoxy thing on the tiller. Note that the video and directions are not clear on where to mount the fairleads that direct the line to the tiller. They say to mount them one inch inboard from the thingy on the side, but not how high off the seat. We mounted them just a little too low when the seat cushions are in place and will need to move them up an inch or so. Our first time flying the spinnaker. 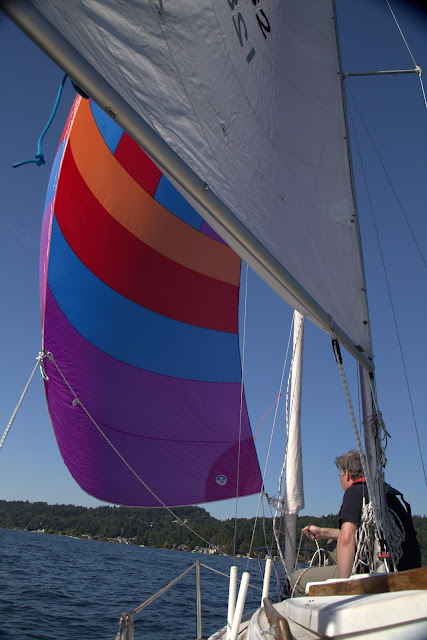 It has been Sandi's goal for quite some time that we would fly our symmetrical spinnaker on July 4th, Independence Day, of this year, for reasons that should be apparent from the accompanying pictures. It was looking like we were not going to get all the rigging in place until after the 4th, but everything came together and it worked. This is a fairly big deal for us, because nobody on board has ever flown a spinnaker. All knowledge has been acquired by reading articles and books, and viewing videos online. 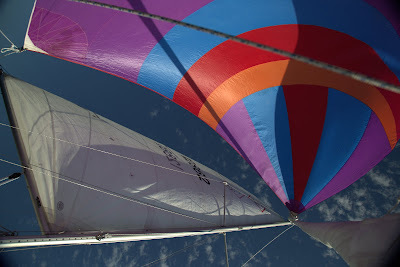 (Possibly the best video on using the spinnaker is this one, Spinnaker Sailing, on YouTube.) We knew that there is some knowledge that you only get from actually doing something, so we were not sure that we even would make it work. While still at dock, we checked our rigging and re-tensioned some stays. Also, a cleat had been moved for us on the dock to allow better tying up, so we adjusted our dock lines. Before heading out, we planned on putting the spinnaker out on the port side. 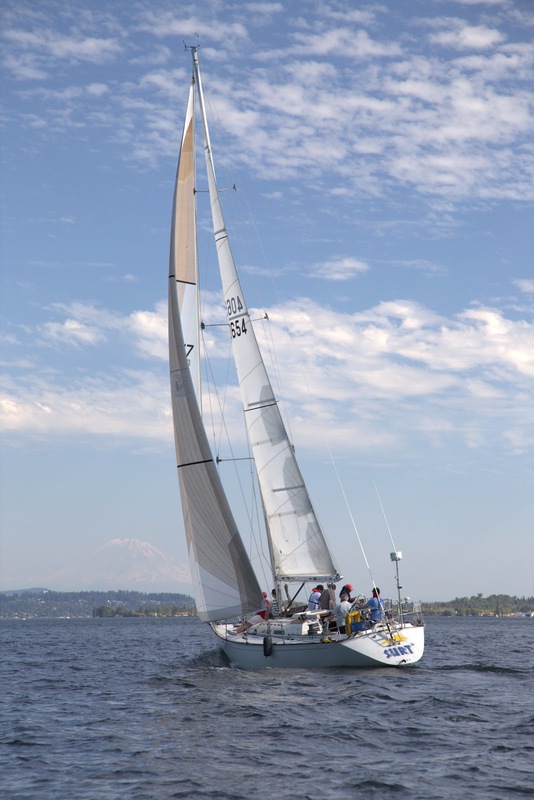 We planned that we would not bring out the jib until we were done with the spinnaker. So we fastened the turtle (spinnaker bag) to the life line on that side. We attached the snapshackles to the tack and clew of the spinnaker. Fortunately the port and starboard corners of the spinnaker are color coded. For this season we are using the jib halyard to raise the spinnaker. For next season, we will probably add a head to the mast that has a separate ring and block just for the spinnaker. We have a furling jib, so the jib halyard is unused otherwise. We fastened the jib halyard to the top of the spinnaker sock. We tucked the jib sheets around the forward cleats so that they'd be low and out of the way. We left the dock and motored out. We dropped the swing keel and raised the mainsail. Then we brought out the spinnaker pole and attached it to the mast ring. We attached the topping lift to the top of the spinnaker pole and the downhaul to the bottom and ran the port spinnaker sheet through the end of the spinnaker pole. Spinnaker wrapped around the jib. We then got ready and tried raising the spinnaker sock. First try failed as one of the lines was on the wrong side of the downhaul. Second try found another line interfering and had to be adjusted. Third try also failed, as we had failed to put the starboard spinnaker sheet around the front of the jib. Fourth try got the spinnaker sock to the top of the mast. The sock was lifted and the spinnaker started flying. There was not enough tension on the sheets though, and the spinnaker promptly wrapped itself around the jib! How do you solve that? 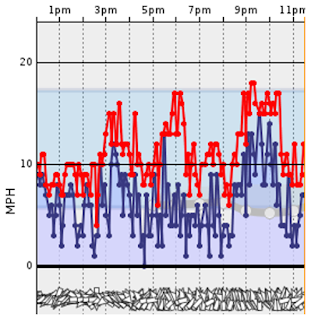 Turns out that if the slack is taken in on the sheets, and the helm varies a little off the wind, that enough wind catches the spinnaker to cause it to unwrap itself. And suddenly the spinnaker filled and was out flying! 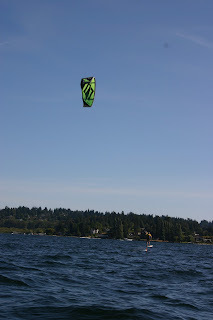 A little adjusting the sheets and downhaul and off we went, flying south down Lake Washington. 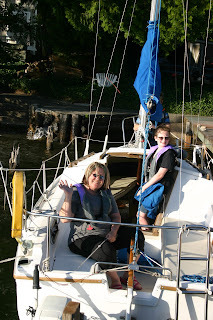 The captain had to adjust to the fact that we had both the mainsail and spinnaker flying, but she soon figured that out. Our spinnaker is red, white, and blue, which in the U.S. is very patriotic. We had people in power boats going by and blasting their horn! 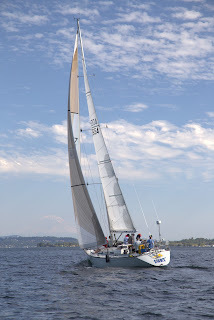 After a very fast run down the lake toward Kirkland, we took down the spinnaker. Not completely without problems. The spinnaker sock did not want to come down. After a little head scratching, we figured out the problem: the sock lifting line was still cleated. You can pull on the line to bring it down as hard as you can and it will not budge when the lifting line is cleated! The sock came down. Then the spinnaker came down and was folded back into the turtle. Unfastened the sheets and halyard, took it off the lifelines and down the forward hatch. The sheets and halyard get clipped to rings and stays to keep them from flopping around. 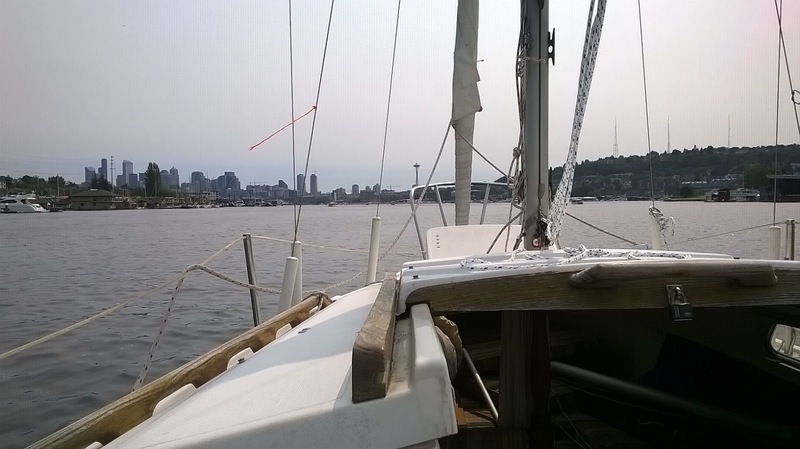 We unfastened the spinnaker pole from the topping lift, downhaul, and mast ring, and stowed it below. 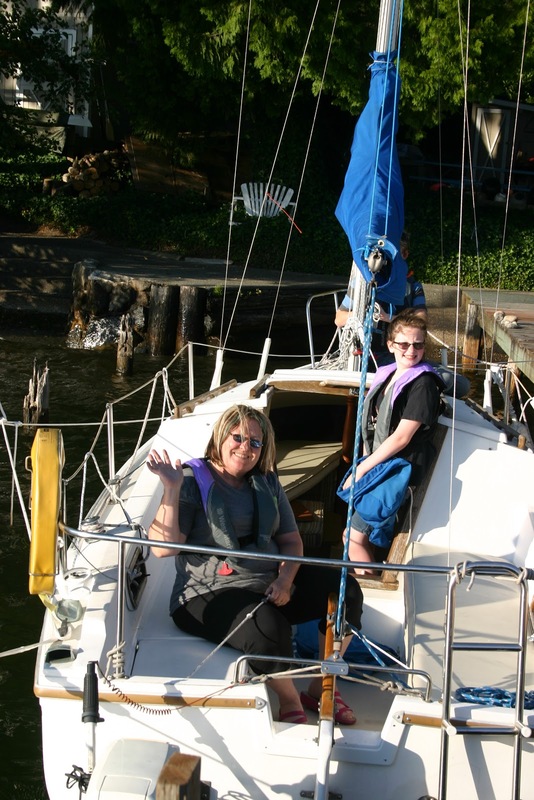 Then we were ready to bring out the jib and tack back up the lake. However, when the spinnaker wrapped itself around the jib, it messed up the furling of the jib and practically tied the jib sheets into knots. It took us a while to get that straightened out. After tacking back up, we pulled into the dock, exhausted but feeling very satisfied that all this work has paid off. Our nifty Forespar spinnaker pole. 8' x 2". We have been continuing to rig Fantasia, preparing to raise the spinnaker for the first time. 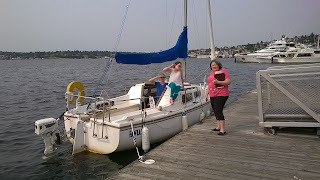 The one piece of the puzzle that we were still missing was the ring necessary to attach the spinnaker pole to the mast. Today we took care of that piece. We mounted the spinnaker pole track and ring to the mast. We ordered the parts from Catalina Direct. It came with a 47" x 1" track, two end caps, the car with the ring on it, 15 machine screws, a drill bit, and a tapping tool. If you knew exactly what you needed, you could probably save a few bucks getting all of this separately, but the advantage of ordering the kit is that you know everything is going to work. You will have the right sized drill bit and tapping tool, and the right kinds of screws, as well as the right quality of track. No instructions came with the kit. However, we followed the nice article from the Fleet 20 newsletter, Installing a Spinnaker Pole Track on the Mast, by Dale Mack, which worked perfectly. We are going to describe our experience, but highly recommend reading that article. We measured up and located the center of the track at 42" off the deck on our old-style Catalina 22. We marked the bottom of the track on the mast and carefully drilled the bottom hole. The tapping tool then puts threads in the hole that leads into the mast. The article shows a nice handle on the tapping tool, but we did not have one, and did not want to go get one. We found that a small pair of vice grips worked. We then screwed the bottom of the track to the mast. Track on the front of the mast with the spinnaker ring car. It really helped to have two people. One held the track to the mast, and handed parts and tools to the person doing the drilling and tapping. 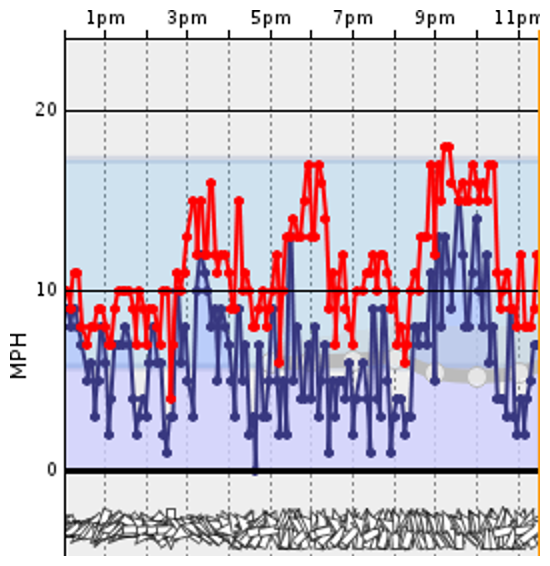 The boat was at the dock, but there was fairly heavy seas, and quite a few power boat wakes, so it would have been pretty easy for a part or tool to go into the water. We almost lost the tapping tool once, even with two people, which would have finished the day. If you can do this with the boat out of the water, it is a little easier. Then the top hole was drilled, tapped, and screwed. Then we proceeded to drill, tap, and screw the other holes. We then put the car on the track. The track came with two end-caps, but we could not figure out how they fit. They seemed a hair small. We just left them off. We then could attach our Forespar spinnaker pole to the ring to test it. We have an extra halyard line that runs to the top of the mast that we are using for the topping lift. When the mast is down next, we will mount a separate topping lift line, but for now this works just fine. We clipped the snapshackles the topping lift and the downhaul to the spinnaker pole. The pole lifted nicely and the downhaul controlled it. All together, it took about two hours to do the whole job.